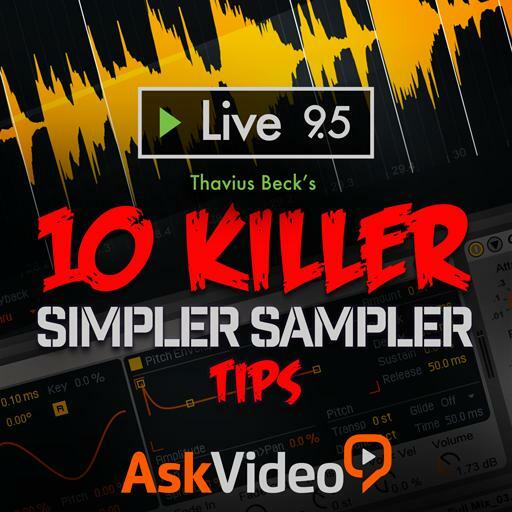 Live 9 306 - 10 Killer Simpler Sampler Tips. True or False: It is possible to automate the Start point of the sample. True or False: The location of the slices gets reset when a new sample is placed in Simpler. True or False: Every warp mode has an Envelope parameter. True or False: Simpler can only play one note at a time. True or False: Multiple devices of the same type can be placed inside of a Rack. True or False: Samples can't be reversed in Simpler. True or False: It is possible to automate the Simpler modes (e.g. Classic and Sliced). True or False: The Pitch envelope will repeat for as long as the note is held. True or False: Retrig restarts the cycle of the LFO waveform.